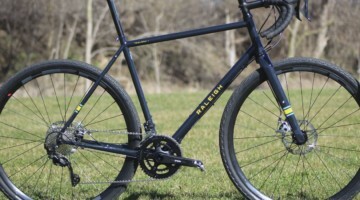 Getting off the beaten path and onto roads less traveled is becoming increasingly popular as the gravel discipline grows and adventure bikes abound. 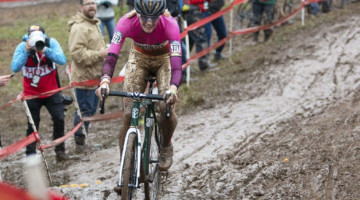 The cyclocross bike used to be the ideal bike for multi-surface endeavors, but many cyclocross machines have tight geometry, higher bottom brackets and tighter gear ranges. 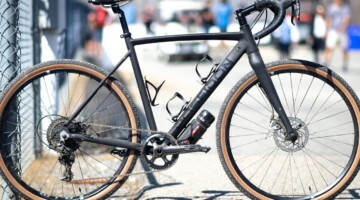 The growth of gravel and adventure events inspires a bike for the long haul over rough roads. In the past we called these “touring” bikes, but the new breed are more sport bikes than load carriers. Montreal’s Opus Bikes is one of the bike companies embracing adventure riding. 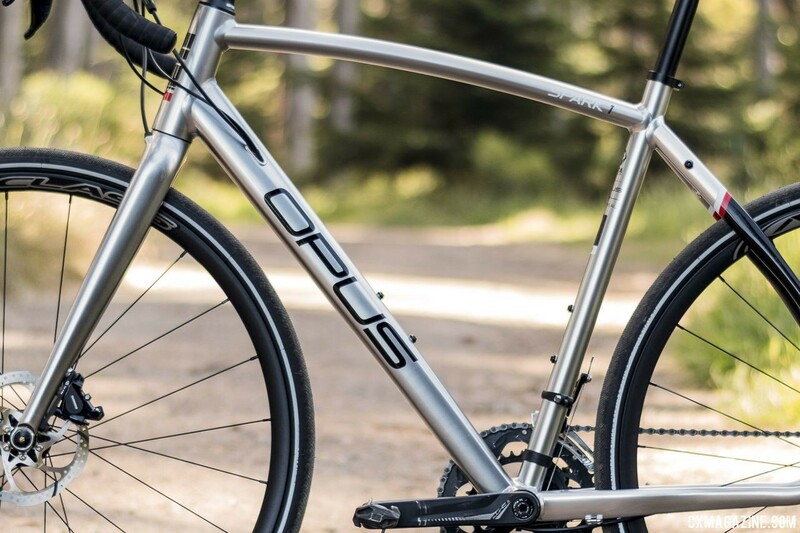 Opus’ Spark is a gravel/adventure bike designed to provide a relatively affordable ticket to roads less traveled. 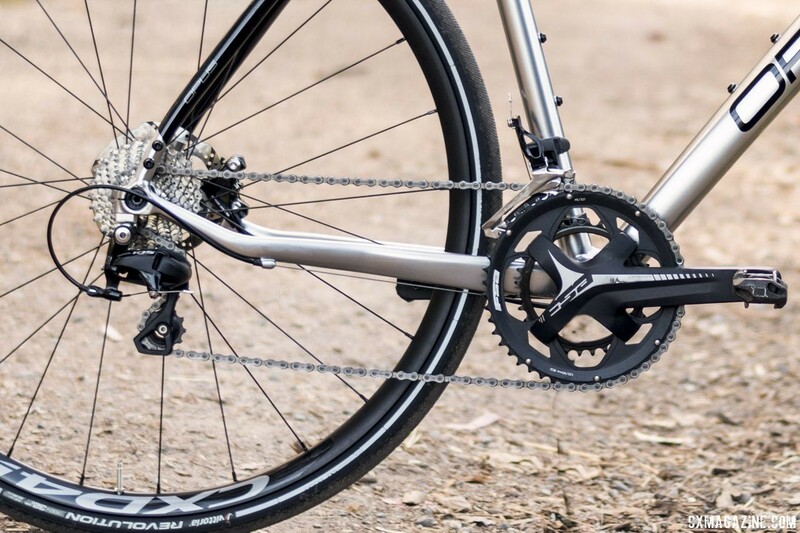 The Spark 1 starts at less than $1,200 USD with mechanical brakes and goes for under $2,000 with a Shimano 105 drivetrain and hydraulic disc brakes. We have been riding roads, gravel and more on the Shimano 105 Spark 1 for the past several months. Read on to find out if it answers the call of the wild for budget-conscious gravel and off-road adventurers. The core of the Opus Spark is a 6061 aluminum TIG welded frame of hydroformed triple-butted tubes. The Spark frames are attractive with a gently arcing top tube combined with arced seatstays. Our Spark 1 review bike has an eye-catching silver anodized look. The frameset has a full carbon tapered steerer fork is 12x100mm thru-axle, flat mount disc and painted to match the frame. The rear end is 12x142mm thru-axle with a replaceable axle nut. 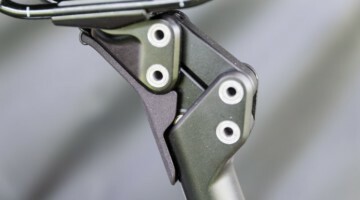 The rear brake caliper is flat mount on the chainstay set for a 140mm minimum rotor diameter. 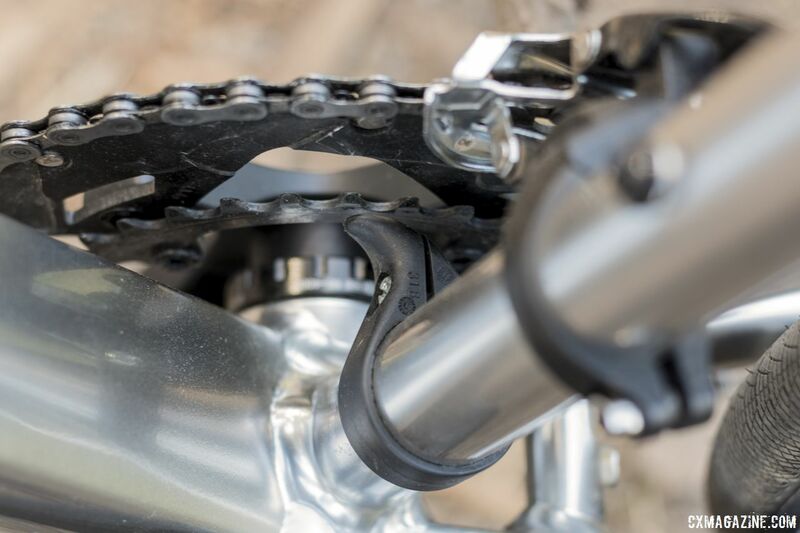 The BSA standard threaded bottom bracket drops 68mm from axle height and the chainstays run almost parallel to the ground with a curve up to the dropouts at the end, which is intended to reduce chain slap. All rear control lines run through the large down tube and exit at an opening just in front of the bottom bracket. The front brake line also runs internally through the left fork blade. All this makes for a frame with curb appeal, complete with mounts for fenders and a rear rack, as well as two bottle cages. The geometry on the Spark 1 falls somewhere between a slack gravel and steeper all-road frame. For our size medium review bike, the effective top tube is 55.5cm with a 72-degree head angle and 73-degree seat tube angle. 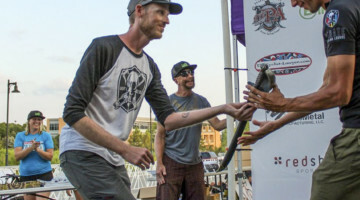 The bottom bracket drop is 68mm, a typical choice on a cyclocross bike, but as much as 7mm higher than a typical road bike. The stack is 582mm with a 377mm reach. 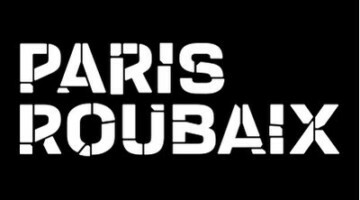 The 43.5 cm chainstays are longer than a ’cross bike, but that will aid tire clearance, comfort, stability and load carrying. The Spark 1 is the top of the Spark model line with Shimano 105 components except for the FSA Omega aluminum crank with 48/32t “adventure” chain rings and FSA Mega-Exo bottom bracket. 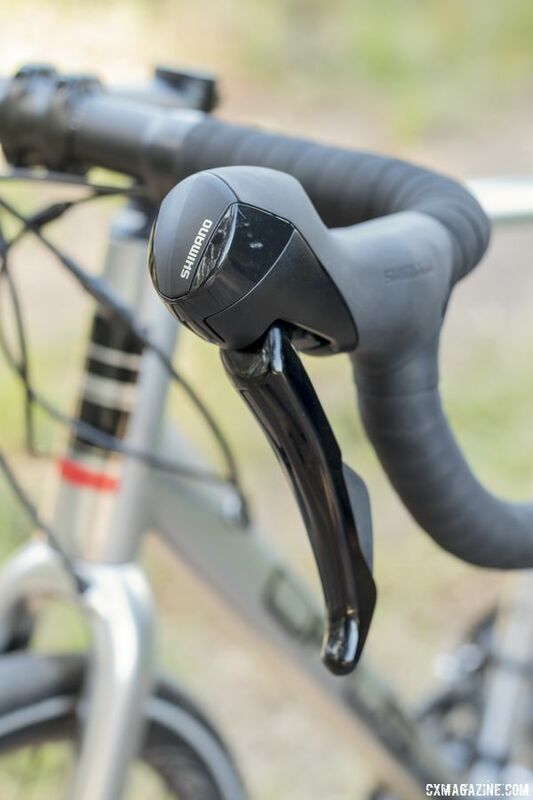 The shift/brake levers are Shimano RS505 hydraulic 11-speed with a long body that houses the hydraulic master cylinder and a large bulbous end that houses the shifting mechanism. Our bike came with a short cage Shimano 105 rear derailleur and an 11-28t 11-speed cassette. Rotors on the bike are 160mm in the front and 140mm in the rear. Other components are an unlabelled aluminum bar and stem. 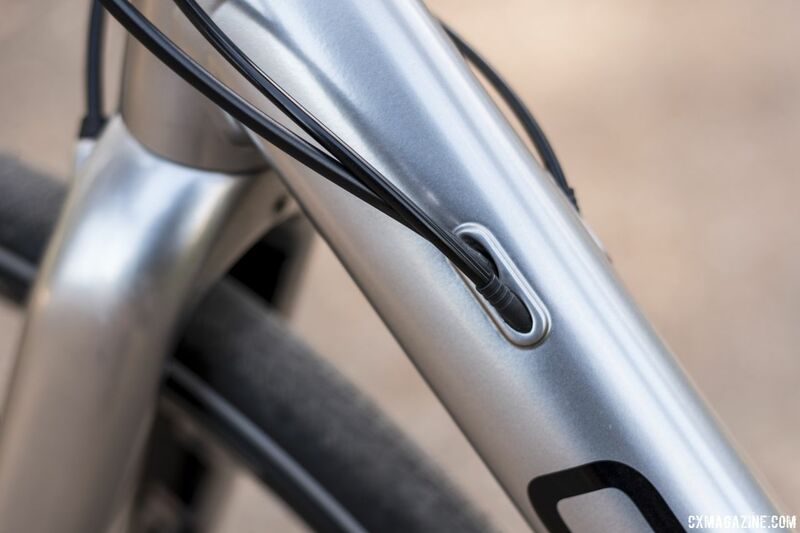 The handlebar has a compact bend and a bit of flare to the drops. The seatpost is a 27.2mm diameter aluminum two-bolt model topped with a Selle Italia Q-Bik saddle. A relatively lightweight addition to the build is the 1,560 gram Alex Rims A-Class CXD4 wheelset with aluminum tubeless ready rims. Vittoria Revolution 32mm road tires came mounted to the wheels. The tires have a reflective sidewall stripe which is great if you are riding in the dark. 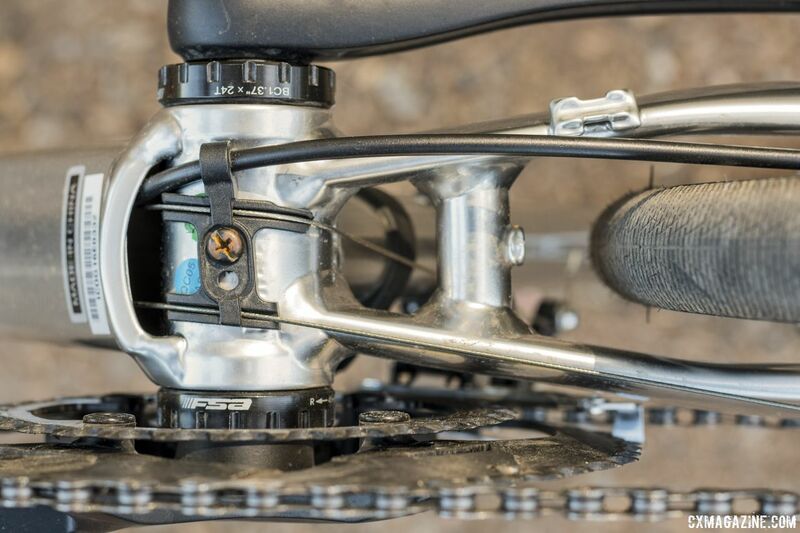 All-told, the Spark 1 weighs 21 pounds without pedals and 14 pounds without wheels. 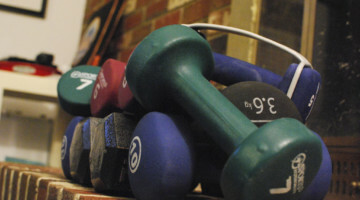 This is a reasonable weight at the price point. 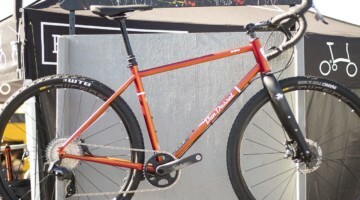 For comparison, the Kona Major Jake retails for $1,200 more and only weighs 0.2 pounds less. The Spark has an entry price of less than $1,200 USD and our flagship Spark 1 is a mere $600 more with hydraulic brakes and solid componentry. 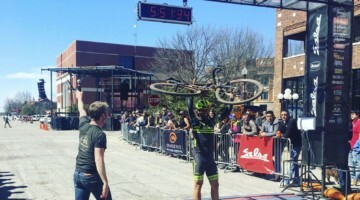 That price provides an entry point to the drop bar, disc brake gravel bike market that is relatively accessible to the masses. 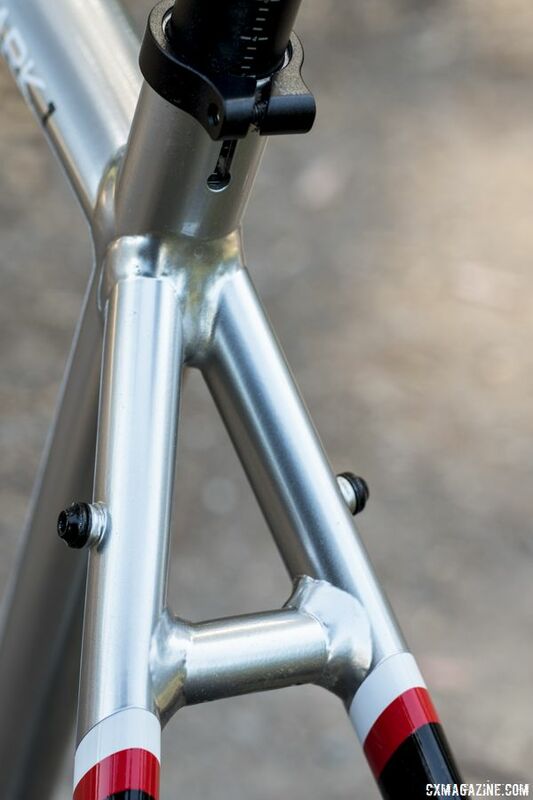 The Spark’s hydroformed aluminum frame and all carbon tapered fork with flat mount brakes and 12mm thru-axles make the Spark frameset ready for any upgrade, and the multitude of mounting fixtures and clearance for 42mm tires makes it ready for almost any adventure. Our Spark 1 review bike came with commuter-style 32mm road tires, so that is where we put it to its paces first. The Spark has nice pavement manners with the 32mm tires at 60 psi. At 80 psi road buzz was very apparent unless on newly paved asphalt. Hit a small pothole or ridge in the pavement with that tire pressure and it is a bit jarring. The aluminum Opus frame does not soak the hit much, but it is certainly much better than aluminum race frames of the mid-1990’s which gave aluminum a bad reputation for ride quality. The geometry and hydroformed frame help with the Spark’s ride quality and the stiffness in the bike is not objectionable. The bike’s cornering is relatively neutral, steering where you lean it, and the Spark 1 is responsive to input, if not lively. Tires with narrow, smooth treads and stiff sidewalls are not ideal for off-road riding, so for much of my time testing the Spark 1, I swapped in other wheels with 33-40mm tires. 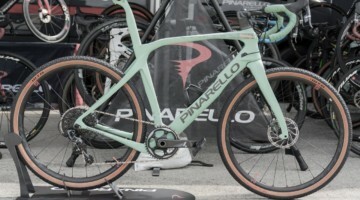 (The Spark 1 is now spec’d with 33mm Vittoria Terreno Dry tires, which is more in line with the bike’s adventure billing.) These tires were all tubeless run at pressures between 23-30, depending on tire size. 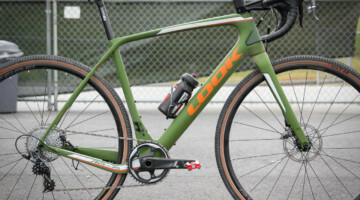 The goal was to assess the Spark as a gravel and cyclocross bike as we would normally ride it. 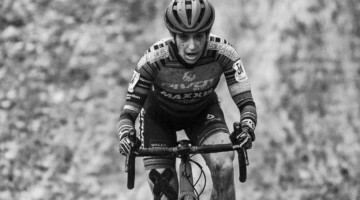 The Alex A-Class CDX4 wheelset run with both tubed and tubeless tires proved a reliable mid-weight, low-price set that is truly tubeless ready. The other wheelsets I ran with the Spark 1 were high-end sets that did not significantly change the bike weight. Interestingly, the biggest changes in ride quality I observed were primarily due to tire and pressure changes. 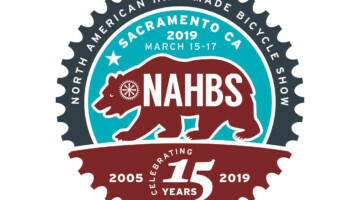 With tubeless tires at the stated pressures, the bike feels like some aluminum bikes we raced just a few years ago, except with the improved control of hydraulic disc brakes. 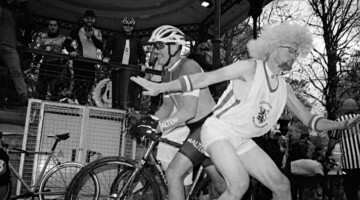 The road manners in cornering and tracking transfer to the dirt. Admittedly, so does the frame stiffness, which is not a bad thing. It just takes some time to adapt to. The Spark 1 feels fast in the dirt and a bit chattery in the rough. I’m not sure it’s the best choice for a long gravel adventure, but it is fun to ride for shorter mixed terrain rides, and of course, on pavement. 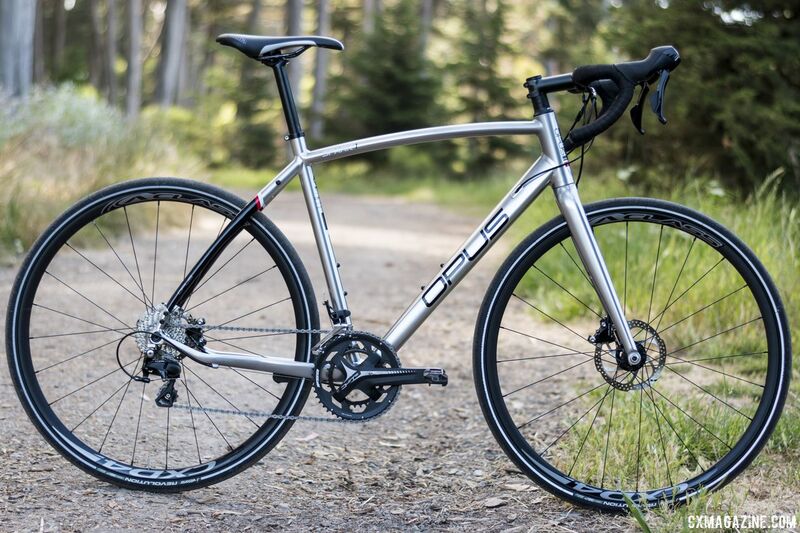 The Opus Spark 1 is a great value as a Shimano-105-equipped bike with hydraulic disc brakes. It is versatile and makes for a great all-weather commuter that can be quickly coaxed into weekend mixed terrain and off-road adventures. The aluminum frame provides a solid ride that will not hold you back from going hard on most terrain. It is encouraging to see Opus now specs the Spark 1 with Vittoria Terreno Dry tires that are in line with its adventure billing. The Spark 1 has a versatile build that allows for experimenting with different setups, so it is definitely worth trying different tire pressures and even tires if you choose the Spark as your new gravel bike. For more on the Opus Spark 1, see the specifications and photo gallery below. 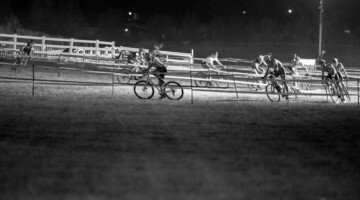 See our archives for more gravel bike reviews.